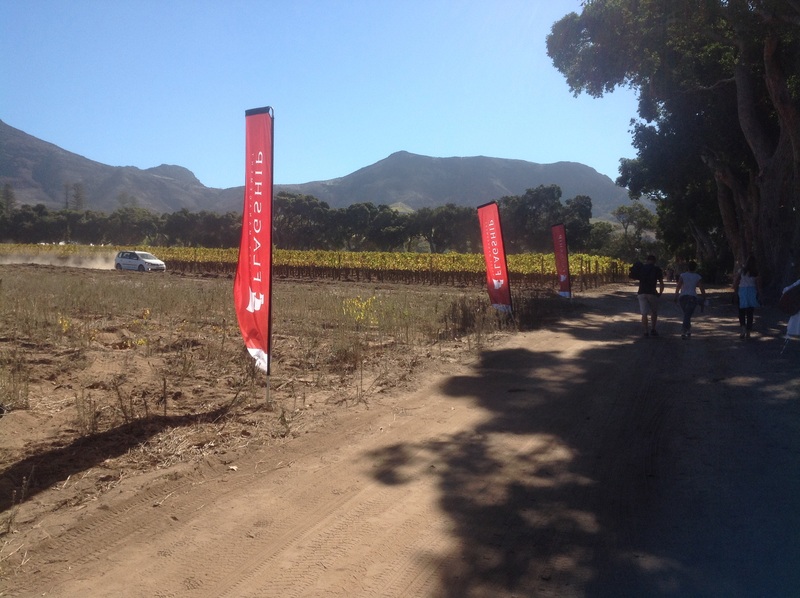 Constantia is one of the biggest wine making regions in South Africa. 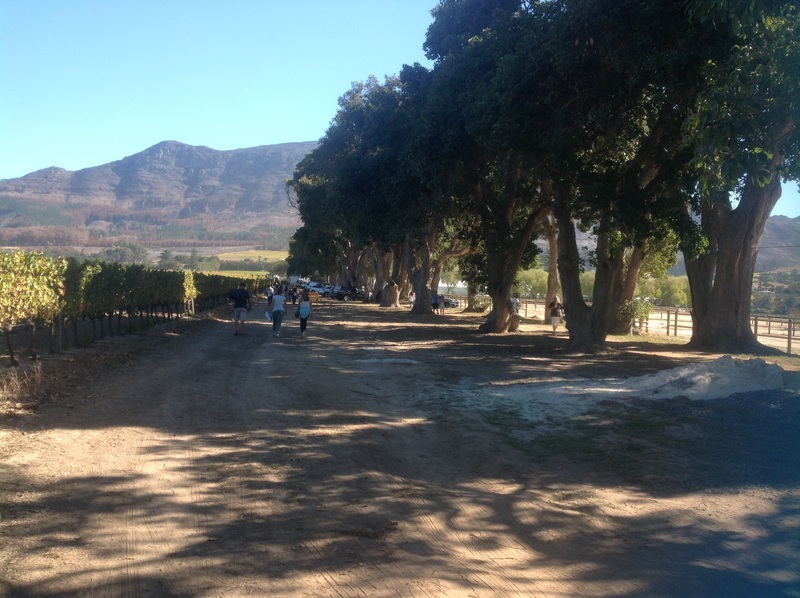 Beautiful wines come out of the valleys of Constantia hills. 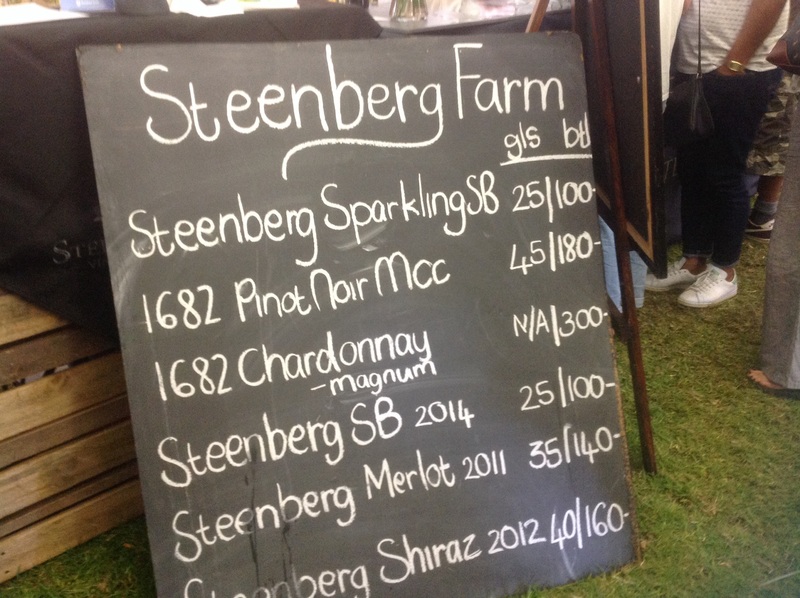 I had the pleasure of being part of the exhibition of these amazing wines and exquisite foods a couple of weeks ago. 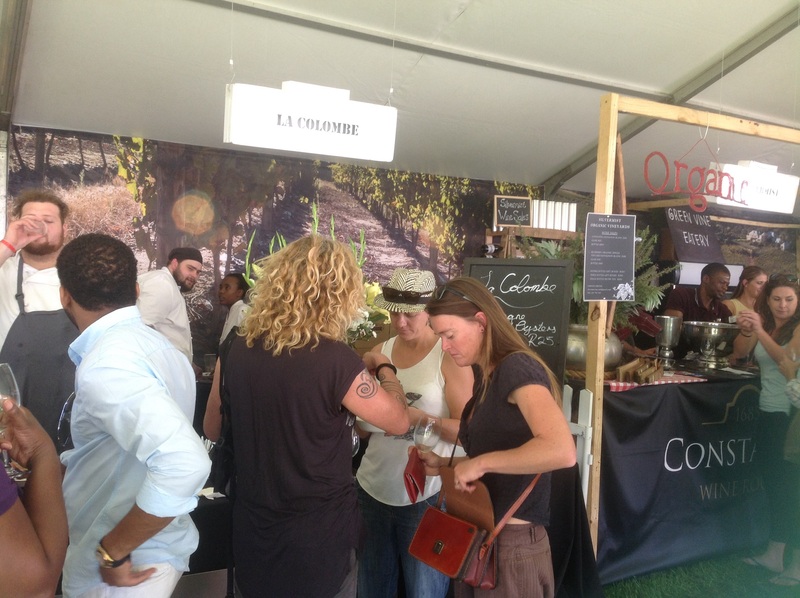 I love food, I love good wine, but even more I love food markets and food festivals. So this was such a perfect event for me to attend. This is not a new festival for me though. 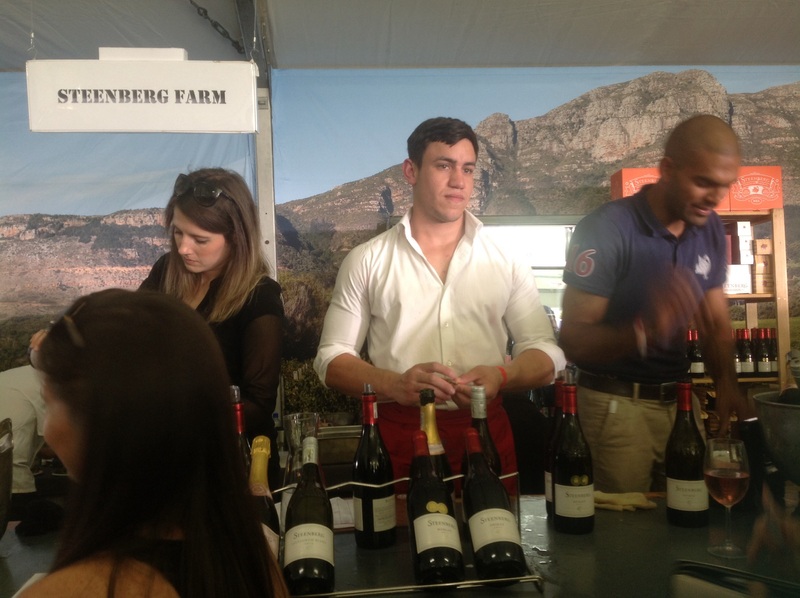 Many years ago when I was still a University student in Cape Town, I used to work as an event’s bartender. And behind the wine counter’s here I used to work showcasing the wines to the festival goers. Not drinking any myself, as I was working. But I’d promised myself that one day, I’d be on the other side of the tasting. And on this weekend the day had come. I was really looking forward to it. All prepared and ready, I made my way to the festival on the Saturday afternoon. And it was as I remembered, but even better. As I walked in I was welcomed by such amazing aromas, so different , so individual, from different directions and they’re making my tummy grumble. My system at festivals is: start from the beginning; look, smell, ask relevant questions, taste and move on and walk through until the end. Then go back to the stands or stalls that stood out and hopefully taste some more and buy. So like always, this is what I did. But by the time I got to the other side, I wasn’t the soberest version of me. 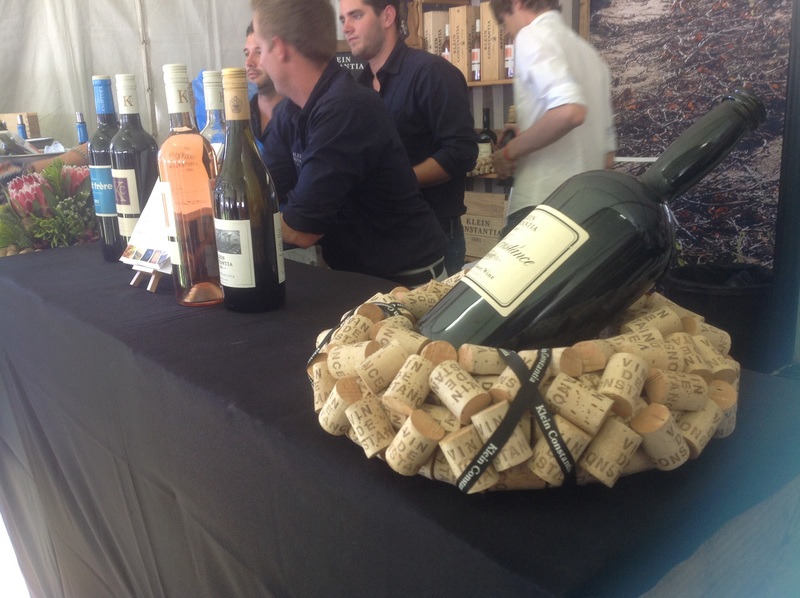 There were a lot of wine stands, which is understandable because of the region. 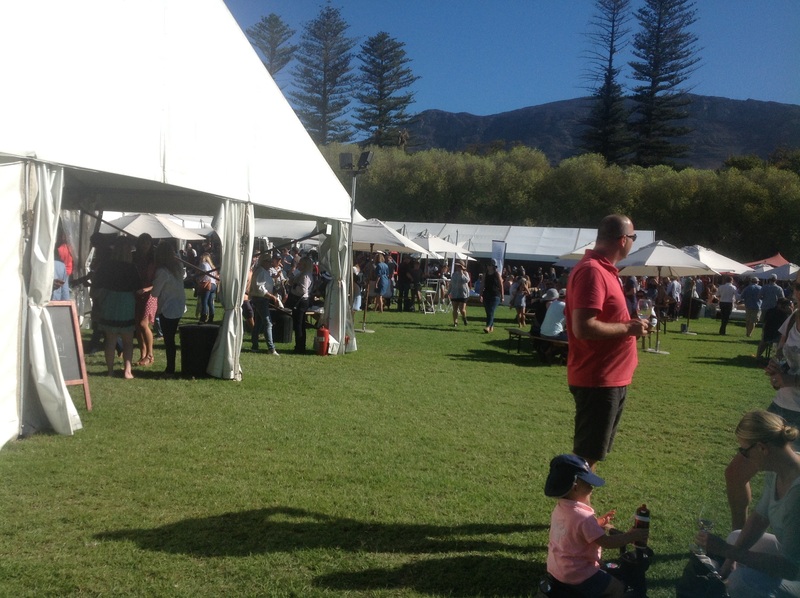 But I still feel maybe it should be named the Wine and food festival, with food in small letters. 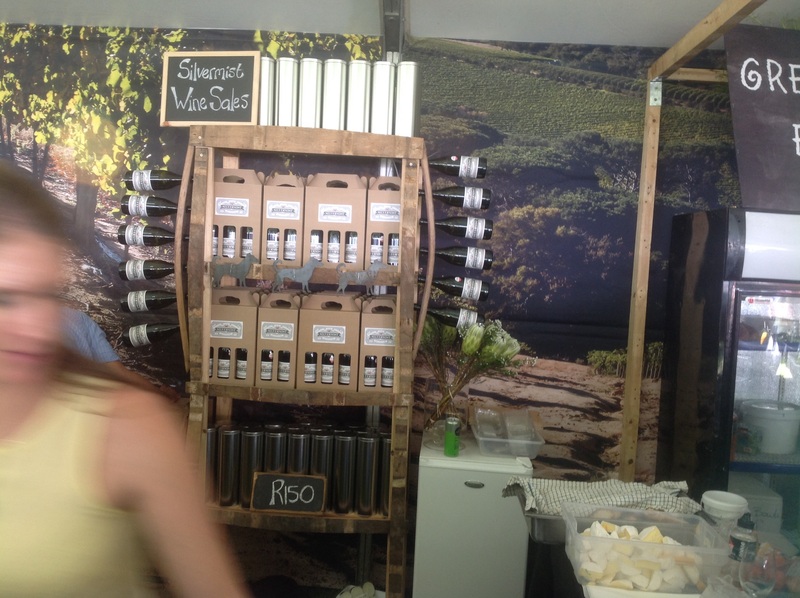 For every food stand, there were 2 wine stands( roughly). But I came up with a win-win plan. How about I taste the different food, choose my favourite for the day, then find a good pairing wine. And the perfect marriage would be my lunch for the day. Perfect, right? The wine tasting was simple; for every tasting it’s 1 crown= R5, with some more stingy than others but it was straight foward. But the food was a bit complicated. 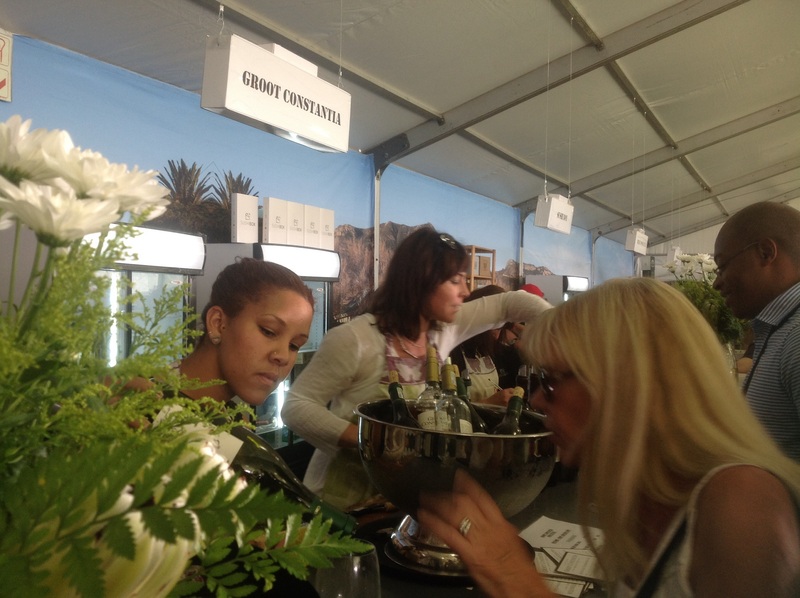 Firstly: The crowns( currency) for tastings are only for wine tastings not all tastings. How fair? How right? Not so much! 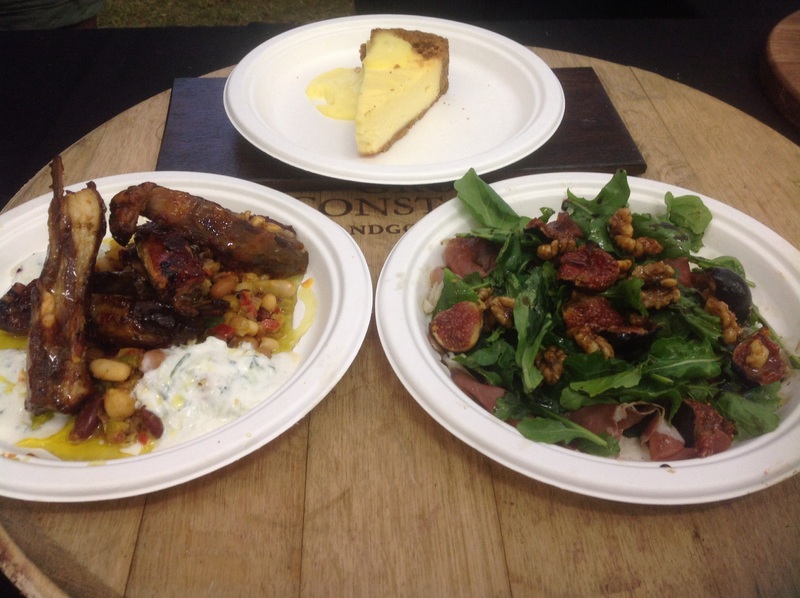 Secondly: I know I complained at the previous food festival ( Taste of Cape Town- see previous post) about the portions being too small( all taster portions with no options for a filling meal/portion size), the portions here were perfect, starter size, but you couldn’t taste without buying. You got more value for money, but it required commitment, if that makes sense. This also sabotaged my wine pairing plan, couldn’t taste the wines before trying the food( didn’t want to compromise the palate nor the mind) but couldn’t buy then taste the food then look for the perfect matching wine either. By the time I’d get back to the food It’d be cold and my palate completely obliterated. 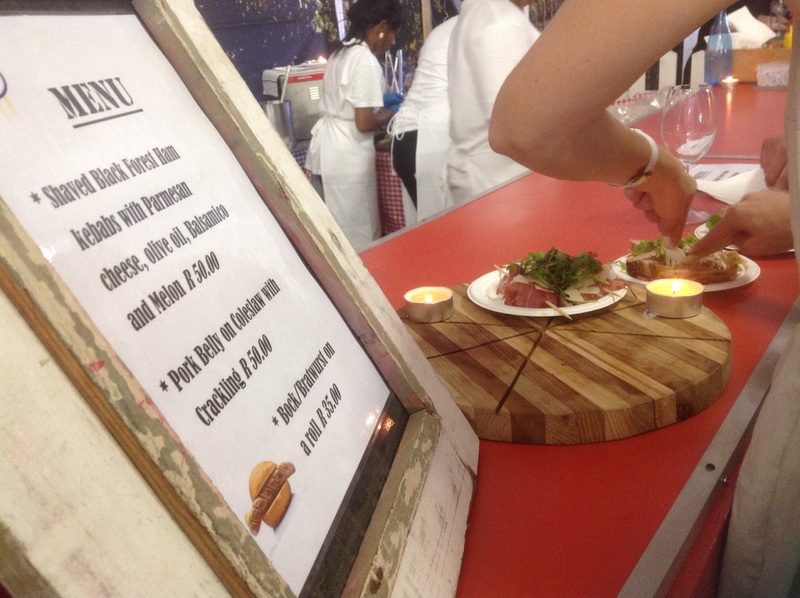 Thirdly: On top of limited food stands compared to the wine, it was mostly restaurants and restaurant food and no other food items or products. 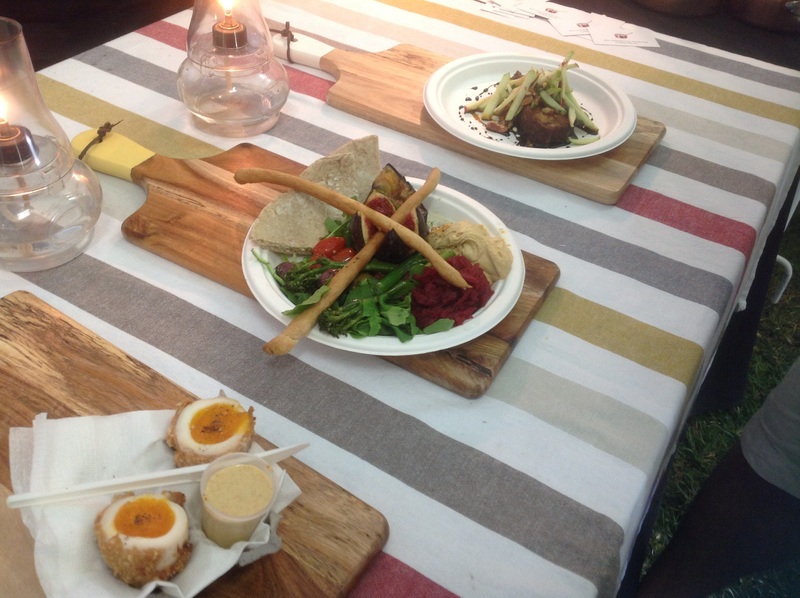 The restaurants were too similar too: modern fusion cuisine. 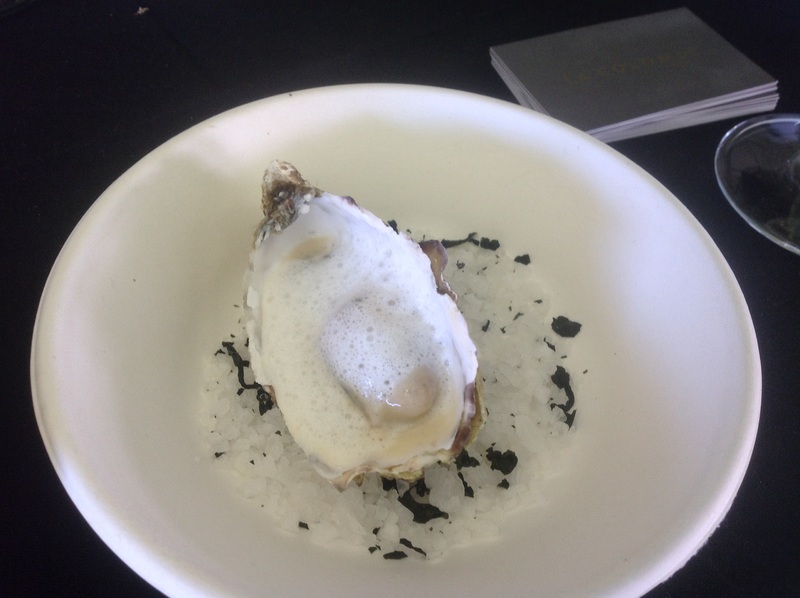 Only 2 stands stood out: ‘La Colombe’ restaurant with oysters for obvious reasons if you follow my blog, but even better, they were poached in a champagne velouté which I was obviously suspicious about, but ended up blowing my mind. 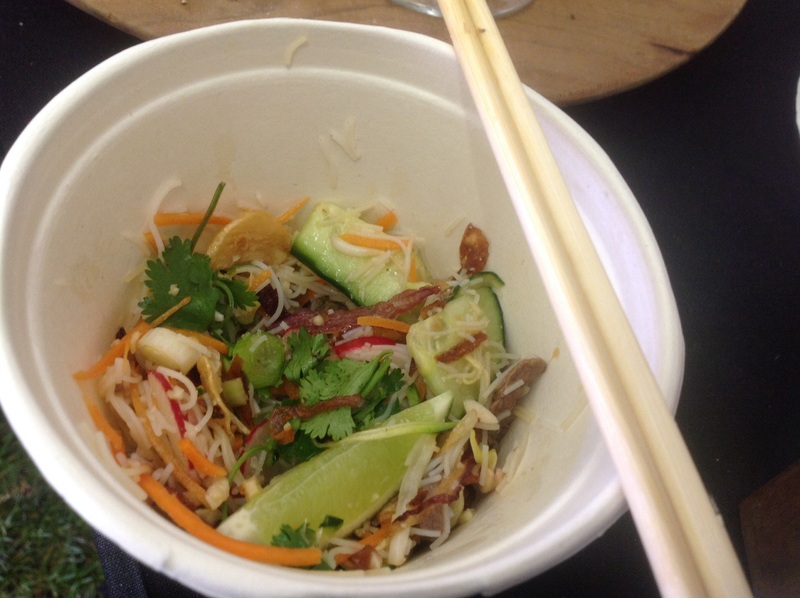 Second stand was the ‘Cellars Hohenort’ with a Vietnamese beef salad- light, a bowl of flavour, amazing textures but still not convinced about the Vietnam part of it. Lunch was sorted. -Accessibility: 4/10 – It was very difficult to find a parking spot, they should get more parking space. The parking was a dusty field opposite the cricket oval. My car was filthy by the time I got out of there, and I’d just cleaned it. Walking from the venue entrance to the actual festival was cumbersome too, too long a walk and very dusty. Let’s just say by the time I got to the top it looked like I hadn’t washed my feet in a week. And for this price I don’t expect a 1 km walk! There were a couple of unmarked cars( 4×4, vw something) driving up and down, not sure for who? We, the lots in front of us or behind us, were never offered a ride. The venue was well constructed and well thought out, shaped in an L-shape with a lot of sitting space with chairs and tables. But it was difficult to move around the stands as there were just too many people, especially at food outlets due to the limited options. I loved the glasses given at entrance and enjoyed the detail of the wine quotes placed randomly around the park. Very well accomodating to children. Entrance fee=R160, this is a steep when you still have to buy everything inside. This fee also included 10 crowns, which meant 10 wine tastings. I don’t think people should pay for tastings. 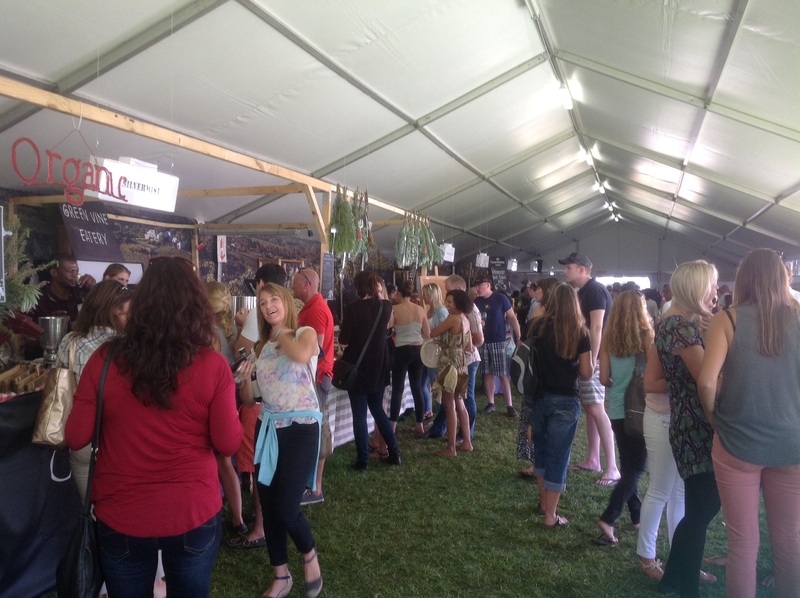 It’s a festival to showcase and sell wines, I think the tasting should be free. It always is in the festivals I go to. But the actual food was good and affordable. Not enough food, more wine stands than food. Food selection was too simple for me; burgers, tacos, salads. I expected a showcase, it’s a food festival not a food market. 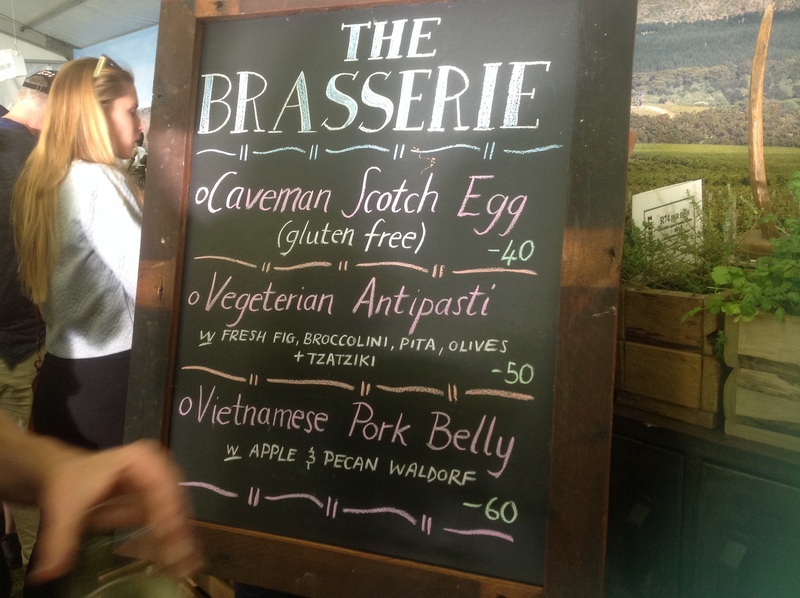 The food was also limited to restaurant food with only one or two olives/pastes/preserves stand. There weren’t food items to buy and take home. 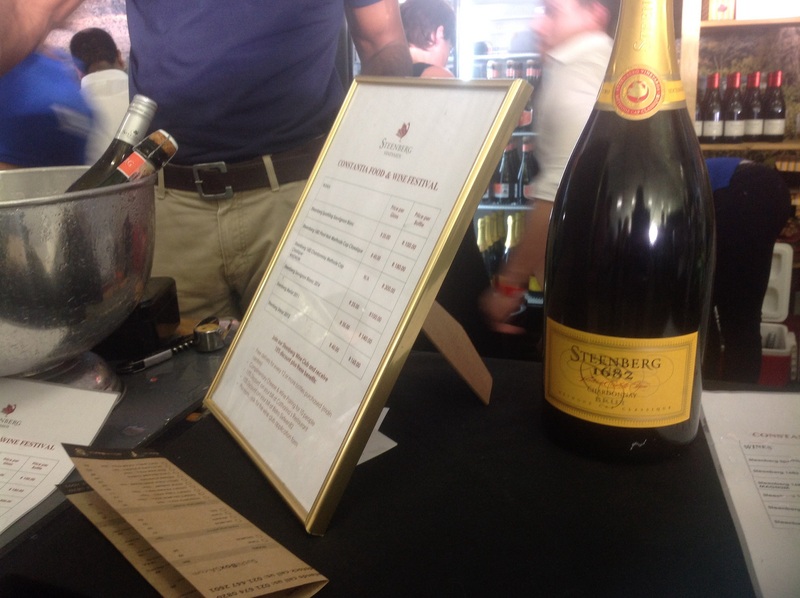 There was plenty of wine, red & white, but only one winery in the area showing sparkling wine. I joined the festival on day 2, in the afternoon. By the time I got there a lot of people were well lubricated. 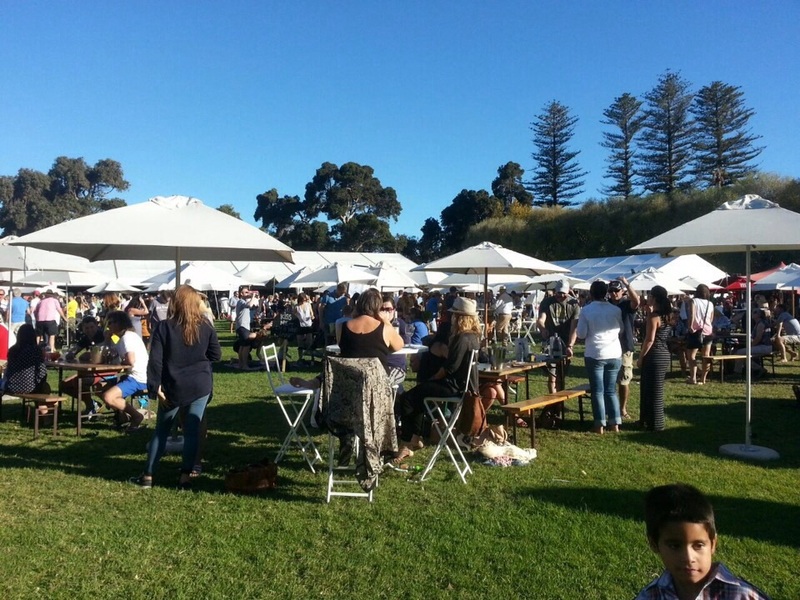 People were sitting on the lawn enjoying the music, chatting away, drinking a lot of wine and very relaxed. So the ambience was good and relaxed. 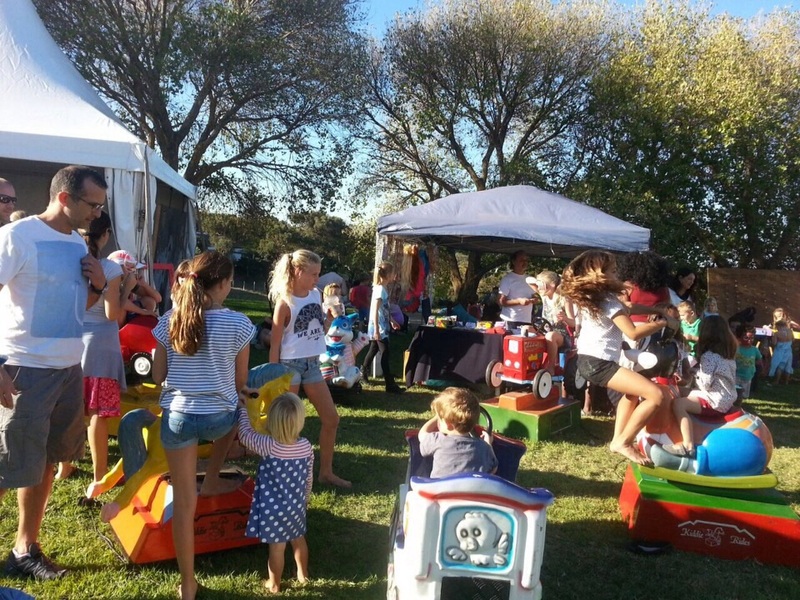 As much as this festival was kid friendly (with a stall just for kids’ toys, face painting and a play pen which I appreciated and wished I had come with my son. I even bought a few toys), they still lost a lot of points with the elderly and disabled. The walk up was really not pleasant even for a normally walking 20 something year old like me. For those who don’t drink, well, this festival is definitely not even trying to accommodate you. It was wine, wine, and more wine. If you thought you’d come enjoy the food with your family or mates without drinking, there’s a big chance you’d go home dehydrated. 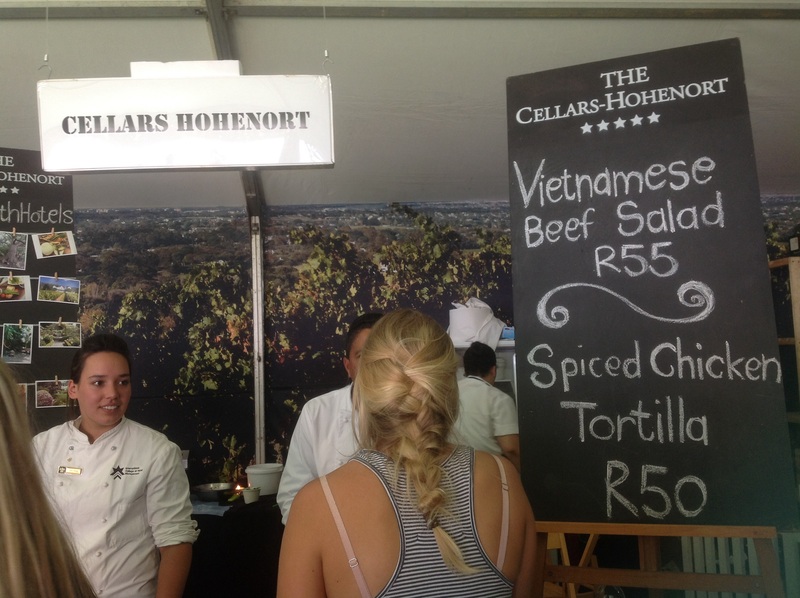 Again, it is called a ‘Food & Wine’ festival! 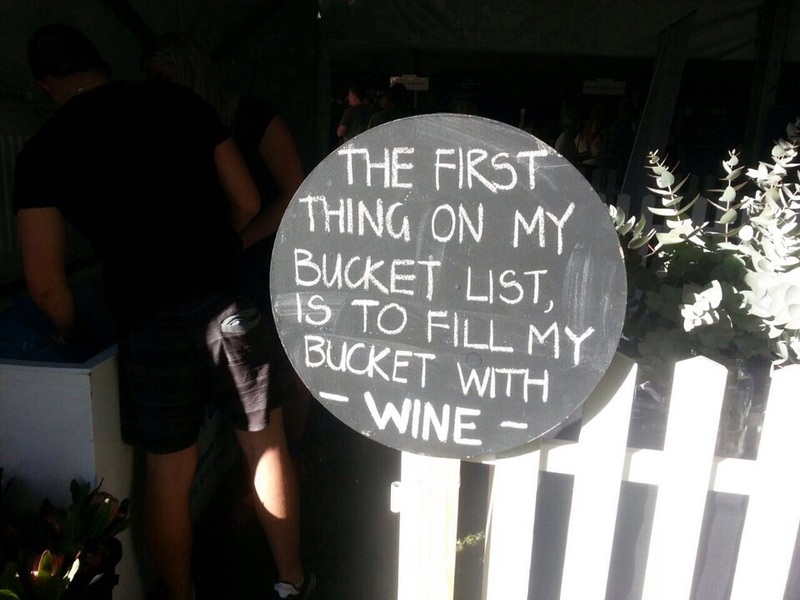 Not just a wine festival. Overall : 6.5/10. I had a good time though, I enjoyed being on the other side for a change. Enjoyed the wine, would’ve liked more food and less walking.